some sample ITIL service catalogue documents. 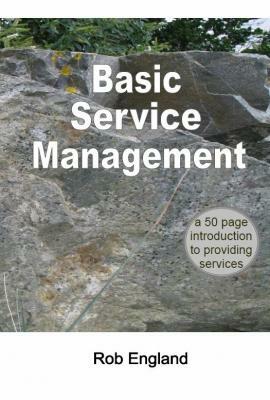 They may not be flash but they are better than what you get in the ITIL V3 Service Design book. I have used these a couple of times with success but they are not extensively road tested: they are provided on an as is basis with no warranty or support. A framework is a structure to organise ourselves around. Tipu has its own Framework to allow us to organise our thinking and have something to compare other frameworks to (to identify the gaps – we like to think Tipu is pretty complete). 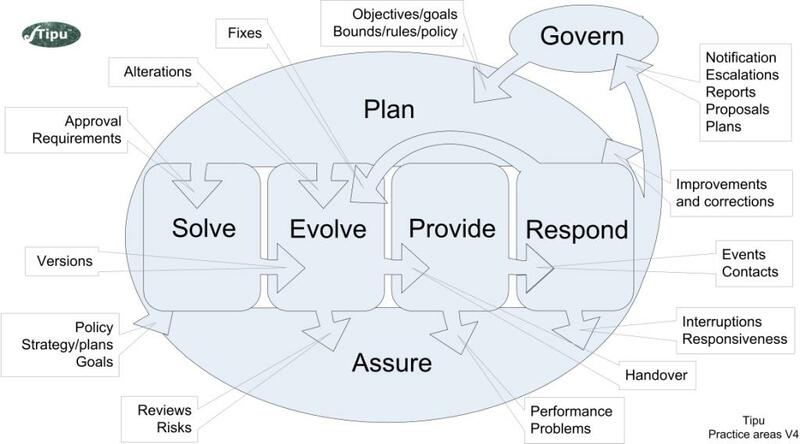 One of the main purposes of the Tipu Framework is to show the complexity of service management. The Tipu Framework provides structure but it is not intended to provide a reference or advice. This is a taxonomy (a naming or categorising system) for the records you need to track when supporting services (the Respond practice area).